To integrate energy medicine with hypnotherapy, help clients adopt language patterns energized to facilitate change. Dr. Kweethai has demonstrated her unique language mastery to the delight of conference audiences. But clients are her most important audience. Initial frustration with strike words and pattern interrupts migrates to amazement as small changes in word choice begin to reframe the client's life perspective and self-realization. Learn to adapt your own language and guide clients to adopt new habits. Change how you talk to change how you think; then behavior change occurs as a natural consequence. Get plenty of practice at this interactive workshop September 26 through October 1, 2018, in Fort Worth, Texas with Dr. Kweethai. This is a 6-day workshop, 9 am - 6 pm most days. Payment can be made in other currencies if you are coming from abroad. PayPal converts currency during the checkout process. Class size is limited and selective. Please contact Dr. Kweethai before registering here. If this is your first time attending a course with Dr. Kweethai in Texas, please click below to complete a personal data form. It helps Dr. Kweethai plan the course to meet the needs of all students. 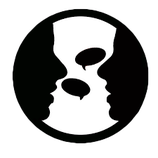 Learn the magic of special language skills, words that help clients change and, even more important, navigate an emerging, newly uncovered Self. This training outlines detailed strategies to help you integrate energy medicine and Life Enhancement Training in the context of conducting an Intuitive Interview. These are critical components of Dr. Kweethai’s iChange Therapy process. You will learn to speak and teach the Language of Change. Become more effective as a hypnotherapist. Achieve amazing results as a trainer, coach or counselor! As a teacher, make your work easier and more efficient. As a mediator, help disputant parties arrive at positive solutions faster. Personally, these language skills will help you live a more harmonious life. Intensive Training quickly takes your hypnotherapy or counseling practice to a whole new level. Practice and develop skills under supervision while receiving excellent instruction and energies from master teacher, Dr. Kweethai. This is an interactive class where you learn by doing. It is intense, challenging, fun and exhilarating. You will leave with a sense of confidence and competence beyond your expectations. You will then dazzle clients with amazing results. Clinical application of Life Enhancement Training on volunteer subjects. Students work first-hand on subject-clients under supervision, followed by instructor-led debrief and evaluation of that work. This is a master class, so it is presumed you already are a certified hypnotherapist or licensed in a related or relevant field. Even at 6 days, there is no time to cover basic skills. As an Intensive Training, Dr. Kweethai jumps right in with the presumption students are already familiar with her work. So, you need to have attended a previous Master Class on Energy Medicine with Dr. Kweethai, either live or on video. Energy Medicine Meets Hypnotherapy in Puerto Rico is a video series available from iChange Press. It contains an introduction to Energy Medicine, including demonstrations, from its application in hypnotherapy to energy work. If you have never attended a live training with Dr. Kweethai, view the video series before coming to this training. Complete an assignment designated by Dr. Kweethai and you may also qualify for an additional 10 hours of CEs. Transmuting negative energy to positive is often as simple as changing a single word. 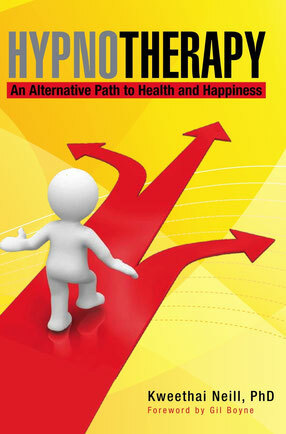 To learn more about Dr. Kweethai's approach to hypnotherapy, order her book. 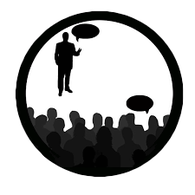 It is written for a lay audience and has been quite effective at alleviating concerns among potential clients with no prior knowledge of hypnotherapy. 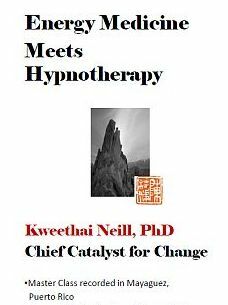 But it also shows how Dr. Kweethai immediately began integrating hypnotherapy with her health promotion training and cultural Chinese background. Energy work brings a dynamic new element to your practice. Clients do not need to understand all that is taking place when you move energies. As Dr. Kweethai's qigong master advises "If you believe, it works. If you don't believe, it still works." As usual, Dr. Kweethai reserves time a few days around an intensive training to accommodate students traveling from far-flung corners of the US and the world. If you desire a private session with Dr. Kweethai to get your energies aligned, resolve private issues or clear blockages; please make a reservation early as she is only available on a limited basis. Dr. Kweethai is a master hypnotherapy instructor. In addition to having taught hundreds of hours of basic and advanced training, she speaks annually at national and international hypnotherapy conferences. She is a regular contributor to the IMDHA journal Unlimited Human. Dr. Stork has worked with learners at all levels, from early childhood thru college and adults. He is a keen observer of human behavior, drawing on an extensive background of teacher and learner behaviors to enhance classroom interactions. He has chosen not to practice hypnotherapy, but instead, is curator of Dr. Kweethai's work as it has evolved. As a pedagogist, Dr. Stork's primary academic training is in the methods and strategies of teaching and assessment. It is what he taught as a University professor. He also supervised field experiences and student teaching. Dr. Stork has also presented frequently at national conferences. 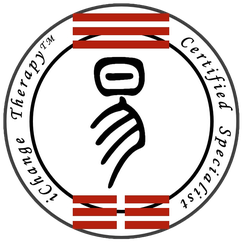 Most recently he has begun to share aspects of iChange Therapy using videotaped clips of Dr. Kweethai in action, with an analysis of how her process works. Dr. Kweethai and iHealth Hypnotherapy School are committed to the highest ethical standard. Before registering for a course, please review our policies on audio-visual recording and email addresses. 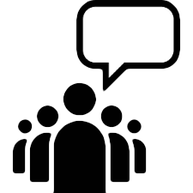 Discriminate between teaching and training to best meet the needs of specific audiences.